Publius (or Gaius) Cornelius Tacitus (ca. 56 – ca. 117) was a senator and a historian of the Roman Empire. The surviving portions of his two major works—the Annals and the Histories—examine the reigns of the Roman Emperors Tiberius, Claudius, Nero and those who reigned in the Year of the Four Emperors. These two works span the history of the Roman Empire from the death of Augustus in AD 14 to (presumably) the death of emperor Domitian in AD 96. There are enormous lacunae in the surviving texts, including one four books long in the Annals. An author writing in the latter part of the Silver Age of Latin literature, his work is distinguished by a boldness and sharpness of wit, and a compact and sometimes unconventional use of Latin. While Tacitus' works contain much information about his world, details regarding his personal life are scarce. What little is known comes from scattered hints throughout his work, the letters of his friend and admirer Pliny the Younger, an inscription found at Mylasa in Caria, and educated guesswork. The older aristocratic families were largely destroyed during the proscriptions at the end of the Republic, and Tacitus is clear that he owes his rank to the Flavian emperors (Hist. 1.1). The theory that he descended from a freedman finds no support apart from his statement, in an invented speech, that many senators and knights were descended from freedmen (Ann. 13.27), and is dismissed by prominent historians. His father may have been the Cornelius Tacitus who was procurator of Belgica and Germania; Pliny the Elder mentions that Cornelius had a son who grew and aged rapidly (N.H. 7.76), and implies an early death. If Cornelius was Tacitus' father and since there is no mention of Tacitus suffering such a condition in the surviving record, it would likely refer to a brother instead. This connection, and the friendship between the younger Pliny and Tacitus, led many scholars to the conclusion that the two families were of similar class, means, and background: equestrians, of significant wealth, and from provincial families. The province of his birth is unknown and has been variously conjectured as Gallia Belgica, Gallia Narbonensis, or even northern Italy. His marriage to the daughter of the Narbonensian senator Gnaeus Julius Agricola may indicate that he, too, came from Gallia Narbonensis. Tacitus' dedication to Fabius Iustus in the Dialogus may indicate a connection with Spain, while his friendship with Pliny indicates northern Italy. None of this evidence is conclusive. No evidence exists that Pliny's friends from northern Italy knew Tacitus, nor do Pliny's letters ever hint that the two men had a common background. Indeed, the strongest piece of evidence is in Pliny Book 9, Letter 23, which reports that when Tacitus was asked if he were Italian or provincial, upon giving an unclear answer, was further asked if he were Tacitus or Pliny. Since Pliny was from Italy, some historians infer that Tacitus was from the provinces, possibly Gallia Narbonensis. His ancestry, his skill in oratory, and his sympathetic depiction of barbarians who resisted Roman rule (e.g., Ann. 2.9), have led some to suggest that he was a Celt; the Celts had occupied Gaul before the Romans, were famous for their skill in oratory, and had been subjugated by Rome. As a young man, Tacitus studied rhetoric in Rome to prepare for a career in law and politics; like Pliny, he may have studied under Quintilian. In 77 or 78 he married Julia Agricola, daughter of the famous general Agricola; little is known of their home life, save that Tacitus loved hunting and the outdoors. He started his career (probably the latus clavus, mark of the senator) under Vespasian, but it was in 81 or 82, under Titus, that he entered political life, as quaestor. He advanced steadily through the cursus honorum, becoming praetor in 88 and a quindecemvir, a member of the priest college in charge of the Sibylline Books and the Secular games. He gained acclaim as a lawyer and an orator; his skill in public speaking gave a marked irony to his cognomen: Tacitus ("silent"). It was not long before our hands dragged Helvidius to prison, before we gazed on the dying looks of Manricus and Rusticus, before we were steeped in Senecio's innocent blood. From his seat in the Senate he became suffect consul in 97 during the reign of Nerva, being the first of his family to do so. During his tenure he reached the height of his fame as an orator when he delivered the funeral oration for the famous veteran soldier Lucius Verginius Rufus. In the following year he wrote and published the Agricola and Germania, announcing the beginnings of the literary endeavors that would occupy him until his death. Afterwards he absented himself from public life, but returned during Trajan's reign. In 100, he, along with his friend Pliny the Younger, prosecuted Marius Priscus (proconsul of Africa) for corruption. Priscus was found guilty and sent into exile; Pliny wrote a few days later that Tacitus had spoken "with all the majesty which characterizes his usual style of oratory". A lengthy absence from politics and law followed while he wrote his two major works: the Histories and the Annals. In 112 or 113 he held the highest civilian governorship, that of the Roman province of Asia in Western Anatolia , recorded in the inscription found at Mylasa mentioned above. A passage in the Annals fixes 116 as the terminus post quem of his death, which may have been as late as 125 or even 130. At all events it seems certain that he survived both Pliny and Trajan. It is unknown whether he had any children, though the Augustan History reports that the emperor Marcus Claudius Tacitus claimed him for an ancestor and provided for the preservation of his works—but like so much of the Augustan History, this story may be fraudulent. The Annals and the Histories, originally published separately, were meant to form a single edition of thirty books. Although Tacitus wrote the Histories before the Annals, the events in the Annals precede the Histories; together they form a continuous narrative from the death of Augustus (14) to the death of Domitian (96). Though most has been lost, what remains is an invaluable record of the era. When it is remembered that the first half of the Annals survived in a single copy of a manuscript from Corvey Abbey , and the second half from a single copy of a manuscript from Monte Cassino , it is remarkable that they survived at all. In an early chapter of the Agricola, Tacitus said he wished to speak about the years of Domitian, Nerva, and Trajan. In the Histories the scope has changed; Tacitus says that he will deal with the age of Nerva and Trajan at a later time. Instead, he will cover the period from the civil wars of the Year of Four Emperors and end with the despotism of the Flavians. Only the first four books and twenty-six chapters of the fifth book survive, covering the year 69 and the first part of 70. The work is believed to have continued up to the death of Domitian on September 18, 96. The fifth book contains—as a prelude to the account of Titus's suppression of the Great Jewish Revolt—a short ethnographic survey of the ancient Jews and is an invaluable record of the educated Romans' attitude towards that people. The Annals was Tacitus' final work, covering the period from the death of Augustus Caesar in 14 AD. He wrote at least sixteen books, but books 7–10 and parts of books 5, 6, 11 and 16 are missing. Book 6 ends with the death of Tiberius and books 7–12 presumably covered the reigns of Caligula and Claudius. The remaining books cover the reign of Nero, perhaps until his death in June 68 or until the end of that year, to connect with the Histories. The second half of book 16 is missing (ending with the events of 66). We do not know whether Tacitus completed the work or whether he finished the other works that he had planned to write; he died before he could complete his planned histories of Nerva and Trajan, and no record survives of the work on Augustus Caesar and the beginnings of the Empire with which he had planned to finish his work. The Annals is also among the first-known secular-historic records to mention Jesus (see Tacitus on Christ), which Tacitus does so in connection with Nero's persecution of the Christians. Tacitus wrote three minor works on various subjects: the Agricola, a biography of his father-in-law Gnaeus Julius Agricola; the Germania, a monograph on the lands and tribes of barbarian Germania; and the Dialogus, a dialogue on the art of rhetoric. The Germania (Latin title: De Origine et situ Germanorum) is an ethnographic work on the diverse set of people Tacitus believed to be Germanic tribes outside the Roman Empire. Ethnography had a long and distinguished heritage in classical literature, and the Germania fits squarely within the tradition established by authors from Herodotus to Julius Caesar. Tacitus had written a similar, albeit shorter, piece in his Agricola (chapters 10–13). The book begins with a description of the lands, laws, and customs of the tribes (chapters 1–27); it then segues into descriptions of individual tribes, beginning with those dwelling closest to Roman lands and ending on the uttermost shores of the Baltic Sea , with a description of the primitive and savage Fenni and the unknown tribes beyond them. The Agricola (written ca. 98) recounts the life of Gnaeus Julius Agricola, an eminent Roman general and Tacitus' father-in-law; it also covers, briefly, the geography and ethnography of ancient Britain. As in the Germania, Tacitus favorably contrasts the liberty of the native Britons with the corruption and tyranny of the Empire; the book also contains eloquent and vicious polemics against the rapacity and greed of Rome, in one of which Tacitus says is from a speech by Calgacus and ends with Auferre trucidare rapere falsis nominibus imperium, atque ubi solitudinem faciunt, pacem appellant. (To ravage, to slaughter, to usurp under false titles, they call empire; and where they make a desert, they call it peace. — Oxford Revised Translation). There is uncertainty about when Tacitus wrote Dialogus de oratoribus , but it was probably after the Agricola and the Germania. Many characteristics set it apart from the other works of Tacitus, so that its authenticity has been questioned, although it is still grouped with the Agricola and the Germania in the manuscript tradition. The way of speaking in the Dialogus seems closer to Cicero's proceedings, refined but not prolix, which inspired the teaching of Quintilian; it lacks the incongruities that are typical of Tacitus' major historical works. It may have been written when Tacitus was young; its dedication to Fabius Iustus would thus give the date of publication, but not the date of writing. More probably, the unusually classical style may be explained by the fact that the Dialogus is a work dealing with rhetoric. 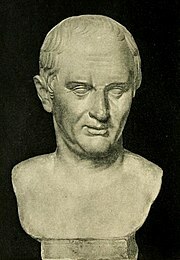 For works in the rhetoric genre, the structure, the language, and the style of Cicero were the usual models. Tacitus used the official sources of the Roman state: the acta senatus (the minutes of the session of the Senate) and the acta diurna populi Romani (a collection of the acts of the government and news of the court and capital). He read collections of emperors' speeches, such as Tiberius and Claudius. Generally, Tacitus was a scrupulous historian who paid careful attention to his historical works. The minor inaccuracies in the Annals may be due to Tacitus dying before finishing (and therefore final proofreading) of this work. He used a variety of historical and literary sources; he used them freely and he chose from sources of varied opinions. Tacitus cites some of his sources directly, among them Cluvius Rufus, Fabius Rusticus and Pliny the Elder, who had written Bella Germaniae and a historical work which was the continuation of that of Aufidius Bassus. Tacitus used some collections of letters (epistolarium) and various notes. He also took information from exitus illustrium virorum. These were a collection of books by those who were antithetical to the emperors. They tell of the sacrifice of the martyr to freedom, especially the men who committed suicide, following the theory of the Stoics. While he placed no value on the Stoic theory of suicide, Tacitus used accounts of famous suicides to give a dramatic tone to his stories. These suicides seemed, to him, ostentatious and politically useless; however, he gives prominence to the speeches of some of those about to commit suicide, for example Cremutius Cordus' speech in Ann. IV, 34-35. Tacitus' writings are known for their deep-cutting and dense prose, seldom glossy, in contrast to the more placable style of some of his contemporaries, like Plutarch. Describing a near defeat of the Roman army in Ann. I, 63 Tacitus does apply gloss, but does so by the brevity with which he describes the end of the hostilities, than by embellishing phrases. In most of his writings he keeps to a chronological ordering of his narration, with only seldom an outline of the "bigger picture", and leaves the reader to construct that picture for himself. Nonetheless, when he does sketch the bigger picture, for example, in the opening paragraphs of the Annals - summarizing the situation at the end of the reign of Augustus - he uses a few condensed phrases to take the reader to the heart of the story. Tacitus' historical style combines various approaches to history into a method of his own (owing some debt to Sallust): seamlessly blending straightforward descriptions of events, pointed moral lessons, and tightly-focused dramatic accounts, his historiography contains deep, and often pessimistic, insights into the workings of the human mind and the nature of power. There has been much scholarly discussion about Tacitus' "neutrality" (or "partiality" to others, which would make the quote above no more than a figure of speech). Throughout his writing, Tacitus is concerned with the balance of powerbetween the Senateand the Emperor, corruptionand the growing tyrannyamong the governing classesof Rome as they adjust to the new imperial régime. In Tacitus' view, they squandered their cultural traditions of free speechand independence to placate the often bemused (and rarely benign) emperor. Tacitus' political career was largely spent under the emperor Domitian; his experience of the tyranny, corruption, and decadenceprevalent in the era (81–96) may explain his bitter and ironic political analysis. He warned against the dangers of unaccountable power, against the love of power untempered by principle, and against the popular apathyand corruption, engendered by the wealth of the empire, which allowed such evils to flourish. The experience of Domitian's tyrannical reign is generally also seen as the cause of the sometimes unfairly bitter and ironic cast to his portrayal of the Julio-Claudianemperors. Nonetheless the image he builds of Tiberiusthroughout the first six books of the Annalsis neither exclusively bleak nor approving: most scholars analyse the image of Tiberius as predominantly positivein the first books, becoming predominantly negativein the following books relating the intrigues of Sejanus. Even then, the entrance of Tiberius in the first chapters of the first book is a crimson tale dominated by hypocrisyby and around the new emperor coming to power; and in the later books some kind of respect for the wisdom and cleverness of the old emperor, keeping out of Rome to secure his position, is often transparent. In general Tacitus does not fear to give words of praise and words of rejection to the same person, often explaining openly which he thinks the commendable and which the despicable properties. Not conclusivelytaking sides for or against the persons he describes is his hallmark, and led thinkers in later times to interpret his works as well as a defenseof an imperial system, as a rejectionof the same (see Tacitean studies, Blackvs. RedTacitists). A better illustration of Tacitus' "sine ira et studio" is scarcely imaginable. Tacitus' skill with written Latin is unsurpassed; no other author is considered his equal, except perhaps for Cicero. His style differs both from the prevalent style of the Silver Ageand from that of the Golden Age; though it has a calculated grandeur and eloquence (largely thanks to Tacitus' education in rhetoric), it is extremely concise, even epigrammatic—the sentences are rarely flowing or beautiful, but their point is always clear. The same style has been both derided as "harsh, unpleasant, and thorny" and praised as "grave, concise, and pithily eloquent". His historical works focus on the psycheand inner motivations of the characters, often with penetrating insight—though it is questionable how much of his insight is correct, and how much is convincing only because of his rhetorical skill. He is at his best when exposing hypocrisy and dissimulation; for example, he follows a narrative recounting Tiberius' refusal of the title pater patriaeby recalling the institution of a law forbidding any "treasonous" speech or writings—and the frivolous prosecutions which resulted (Annals, 1.72). Elsewhere (Annals4.64–66) he compares Tiberius' public distribution of fire relief to his failure to stop the perversions and abuses of justice which he had begun. Though this kind of insight has earned him praise, he has also been criticized for ignoring the larger context of the events which he describes. Of course, Tacitus wrote about comparatively recent events; whereas we have the benefit of the hindsight of twenty centuries. Tacitus owes the most, both in language and in method, to Sallust; Ammianus Marcellinusis the later historian whose work most closely approaches him in style. Tacitus is remembered first and foremost as Rome's greatest historian. Encyclopædia Britannicaopined that he "ranks beyond dispute in the highest place among men of letters of all ages". His work has been read for its moral instruction, its dramatic narrative, and its prose style; but it is as a political theorist that he has been, and remains, most influential outside the field of history. The political lessons taken from his work fall roughly into two camps, as identified by Giuseppe Toffanin: the "red Tacitists", who used him to support republicanideals, and the "black Tacitists", those who read him as a lesson in Machiavellianrealpolitik. Though his work is the most reliable source for the history of his era, its factual accuracy is occasionally questioned: the Annalsare based in part on secondary sources of unknown reliability, and there are some obvious mistakes, for instance confusing the two daughters of Mark Antonyand Octavia Minor, both named Antonia). The Histories, written from primary documentsand intimate knowledge of the Flavian period, is thought to be more accurate, though Tacitus' hatred of Domitian seemingly colored its tone and interpretations. Republic : Tacitus' critique of "model state" philosophies. National Law Enforcement Officers Memorial : Inscribed on the national memorial for US law enforcement officers is the Tacitus quote: "In valor there is hope". Adams, James N. "The language of the later books of Tacitus' Annals". The Classical Quarterly, Vol. 22 (1972), pp. 350–373. Adams, James N. "The vocabulary of the speeches in Tacitus' historical works". Bulletin of the Institute of Classical Studies, Vol. 20 (1973), pp. 120–144. Adams, James N. "Were the later books of Tacitus' Annals revised?" Rheinisches Museum, Vol. 117 (1974), pp. 323–333. Barnes, T.D. "The Fragments of Tacitus' Histories". Classical Philology, Vol. 72 (1977), pp. 224–231. Barnes, T.D. "The Significance of Tacitus' Dialogus de Oratoribus". Harvard Studies in Classical Philology, Vol. 90 (1986), pp. 225–244. Barnes, T.D. "Tacitus and the Senatus Consultum de Cn. Pisone Patre". Phoenix, Vol. 52 (1998), pp. 125–148. Birley, Antony R. "The Life and Death of Cornelius Tacitus". Historia, Vol. 49 (2000), pp. 230–247. Bosworth, A.B. "Mountain and molehill? Cornelius Tacitus and Curtius Rufus". The Classical Quarterly, Vol. 54 (2004), pp. 551–567. Brink, C.O. "Can Tacitus' Dialogus Be Dated? Evidence and Historical Conclusions". Harvard Studies in Classical Philology, Vol. 96 (1994), pp. 251–280. Brink, C.O. "Justus Lipsius and the text of Tacitus". The Journal of Roman Studies, Vol. 41 (1951), pp. 32–51. Clarke, Katherine. "An Island Nation: Re-Reading Tacitus' Agricola". The Journal of Roman Studies, Vol. 91 (2001), pp. 94–112. Daitz, S.G. "Tacitus' technique of character portrayal". The American Journal of Philology, Vol. 81 (1960), pp. 30–52. Damon, Cynthia. "The Trial of Cn. Piso in Tacitus' Annals and the Senatus Consultum de Cn. Pisone patre". The American Journal of Philology, Vol. 120, No. 1 (1999), pp. 143–162. Eck, Werner. "Cheating the Public, or: Tacitus Vindicated". Scripta Classica Israelica, Vol. 21 (2002), pp. 149–164. Fletcher, G.B.A. "Assonances or plays on words in Tacitus". The Classical Review, Vol. 54 (1940), pp. 184–187. Gill, C. "Character-development in Plutarch and Tacitus". The Classical Quarterly, Vol. 33 (1983), pp. 469–487. Goodyear, F.R.D. "Development of language and style in the Annals of Tacitus". The Journal of Roman Studies, Vol. 58 (1968), pp. 22–31. Goodyear, F.R.D. "The readings of the Leiden manuscript of Tacitus". The Classical Quarterly, Vol. 15 (1965), pp. 299–322. Goodyear, F.R.D. Tacitus (Oxford: Clarendon Press, 1970), Greece & Rome New Surveys in Classics No. 4. Good survey of scholarship up to 1960s. Griffin, Miriam T. "Claudius in Tacitus". The Classical Quarterly, Vol. 40 (1990), pp. 482–501. Griffin, Miriam T. "The Lyons tablet and Tacitean hindsight". The Classical Quarterly, Vol. 32 (1982), pp. 404–418. Griffin, Miriam T. "Tacitus and Pliny". Scripta Classica Israelica, Vol. 18 (1999), pp. 139–158. Griffin, Miriam T. "Tacitus, Tiberius and the Principate", in I. Malkin and Z. Rubihnson (eds. ), Leaders and Masses in the Roman World: Studies in Honour of Zvi Yavetz (Leiden: Brill, 1995), pp. 33–57. Haverfield, F. "Tacitus during the Late Roman Period and the Middle Ages". The Journal of Roman Studies, Vol. 6. (1916), pp. 196–201. Krebs, Christopher B. Negotiatio Germaniae. Tacitus' Germania und Enea Silvio Piccolomini, Giannantonio Campano, Conrad Celtis und Heinrich Bebel. Hypomnemata 158. Göttingen: Vandenhoeck & Ruprecht, 2005. Pp. 284. ISBN 3-525-25257-9. Löfstedt, Einar. "The Style of Tacitus", in Idem, Roman Literary Portraits, transl. by P.M. Fraser (Oxford: Clarendon Press, 1958), pp.157–180. Malloch, S.J.V. "The End of the Rhine Mutiny in Tacitus, Suetonius, and Dio". The Classical Quarterly, Vol. 54 (2004), pp. 198–210. Marsh, Frank Burr. "Tacitus and aristocratic tradition". Classical Philology, Vol. 21 (1926), pp. 289–310. Martin, Ronald. 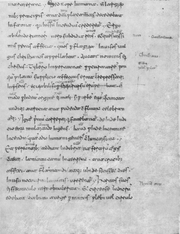 "The Leiden manuscript of Tacitus". The Classical Quarterly, Vol. 14 (1964), pp. 109–119. Martin, Ronald. "Tacitus and the Death of Augustus". The Classical Quarterly, Vol. 5 (1955), pp. 123–128. Mattingly, H.B. "Tacitus' praenomen: the politics of a moderate". Rivista storica dell’antichità, Vol. 2 (1972), pp. 169–185. Miller, Norma P. "The Claudian Tablet and Tacitus: A Reconsideration". Rheinisches Museum, Vol. 99 (1956), pp. 304–315. Miller, Norma P. "Dramatic speech in Tacitus". The American Journal of Philology, Vol. 85 (1964), pp. 279–296. Miller, Norma P. "Tiberius Speaks: An Examination of the Utterances Ascribed to Him in the Annals of Tacitus". The American Journal of Philology, Vol. 89 (1968), pp. 1–19. Momigliano, Arnaldo. "The First Political Commentary on Tacitus". The Journal of Roman Studies, Vol. 37 (1947), pp. 91–101. Murgia, C. "The Date of Tacitus' Dialogus". Harvard Studies in Classical Philology, Vol. 84 (1980), pp. 99–125. Murgia, C. "Pliny's Letters and the Dialogus". Harvard Studies in Classical Philology, Vol. 89 (1985), pp. 171–206. Persival, J. "Tacitus and the Principate". Greece & Rome, Vol. 27 (1980), pp. 119–133. Reid, James Smith. "Tacitus as a historian". The Journal of Roman Studies, Vol. 11 (1921), pp. 191–199. Rutland, L. "The Tacitean Germanicus. Suggestions for a re-evaluation". Rheinisches Museum, Vol. 130 (1987), pp. 153–163. Sage, M.M. "Tacitus and the accession of Tiberius". The Ancient Society, Vol. 13/14 (1982/83), pp. 293–321. Shatzman, I. "Tacitean rumours". Latomus, Vol. 33 (1974), pp.549–578. Shotter, D.C.A. "Tacitus, Tiberius and Germanicus". Historia, Vol. 17 (1968), pp. 194–214. Syme, Ronald. "How Tacitus Wrote Annals I-III", in Idem, Roman Papers, Vol. 3 (Oxford: Clarendon Press, 1984), pp. 1014–1042. Townend, G.B. "Cluvius Rufus in the Histories of Tacitus". The American Journal of Philology, Vol. 85 (1964), pp. 337–377. Wharton, D.B. "Tacitus' Tiberius: The State of the Evidence for the Emperor’s Ipsissima Verba in the Annals". The American Journal of Philology, Vol. 118 (1997), pp. 119–125. inde consilium mihi ... tradere ... sine ira et studio, quorum causas procul habeo. Hence my purpose is to relate ... without either anger or zeal, from any motives to which I am far removed. I predict, and my predictions do not fail me, that your histories will be immortal.